“Business or pleasure?” asked the garda at Dublin airport immigration control. “That can only be pleasure,” he said with a smile as he stamped my passport with a thump. My tour of Irish whiskey began at the Old Jameson Distillery in Dublin, once the heart of Ireland’s best-selling whiskey, now a museum. The guided tour costs about $16, less if you book online, and gives a good overview of the company founded by Scotsman (!) 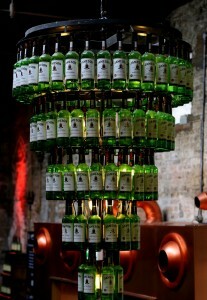 John Jameson while laying out the basics of how Irish whiskey gets its characteristic smooth and mellow flavor. Unlike Scotch, traditionally made from peated, malted barley, Irish whiskey is rarely peated and is generally made from a mix of malted and unmalted barley, creating a lighter taste. It’s also usually triple-distilled vs. Scotch’s usual double-distilling process. The basic tour of Jameson ends with a tasting of Jameson Original along with American whiskey bourbon and Scotch to highlight the differences. For about $25, you can reserve the “taste experience” of four Jameson Family Reserve whiskeys and on weekends you can sign up for a master class for around $30. If you’re in County Cork you can also visit the Midleton distillery in County Cork where the whiskey is made. A standout for me was the Jameson Black Barrel, around 80-proof and aged in flame-charred ex-bourbon barrels. It’s chocolate and butterscotch all grown up with a kick of orange and cinnamon. Established in 1780, Jameson was once one of many Dublin distilleries producing whiskies renowned worldwide. But wars, Prohibition and recession combined to bring the spirit low. “There was always a bottle of Irish whiskey at the bar. It’s just no one was drinking it,” says Bryson. The long climb back began in the 1960s when Jameson, John Power and Son and Cork Distilleries Co. formed to create Irish Distillers (now owned by Pernod Ricard), banding together to promote Irish whiskey’s smooth taste. Growth was steady, and in the last decade explosive, growing nearly 650 percent from 2003 to 2014, when 2.7 million cases were sold in the U.S. The resurgence has led to new distilleries opening with the big news being my second stop, Teeling Whiskey, which brought distilling back to Dublin for the first time in nearly 40 years when it opened this year. Modern and bright, Teeling is a neat contrast to Jameson’s museum feel and offers a glimpse of a working distillery. 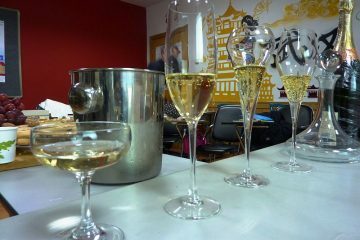 Tasting and tour options start at around $15. 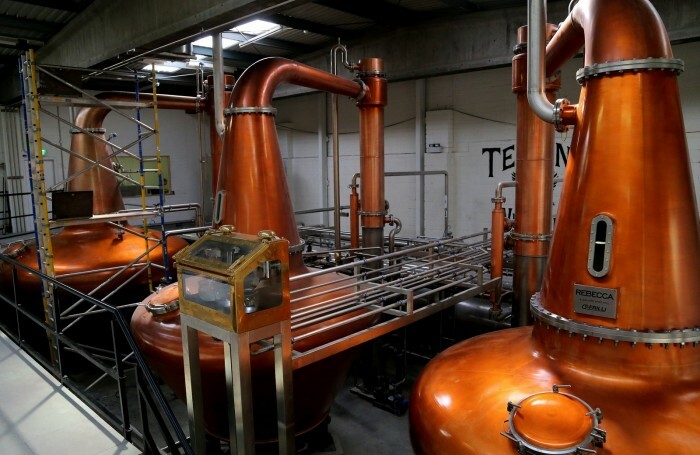 The facility is new but the Teeling family are old hands at the business. Ancestor Walter Teeling started distilling in the 18th century, athough he subsequently sold that operation to William Jameson, brother of John. More recently, patriarch John Teeling started the Cooley Distillery in the mid-1980s, selling it to Beam Suntory in 2012. With money from that sale, and with some of their Cooley whiskey stock in hand, sons Jack and Stephen Teeling started the new outfit, set in the Liberties area of Dublin. “It’s just great to be able to reopen the conversation about Dublin whiskey and re-communicate it in a little bit more of a contemporary way,” says Jack Teeling. His goal is to stay true to the classic characteristics of Irish whiskey without feeling hamstrung by them and risking losing a competitive edge. A recent example is Teeling Small Batch Whiskey, bottled at 92 proof and not chill filtered for an exceptionally creamy texture with nuanced vanilla and a zesty hit of spiciness. I didn’t visit Northern Ireland this trip, but if I had I would certainly have stopped by Bushmills, which is also open to visitors. If you balk, as I do, from driving overseas, not to mention while on a tasting trip, the good news is that the other two major Irish distilleries offering tours can be reached from Dublin by train. It’s about an hour to Tullamore, where you can walk from the station to Tullamore D.E.W. 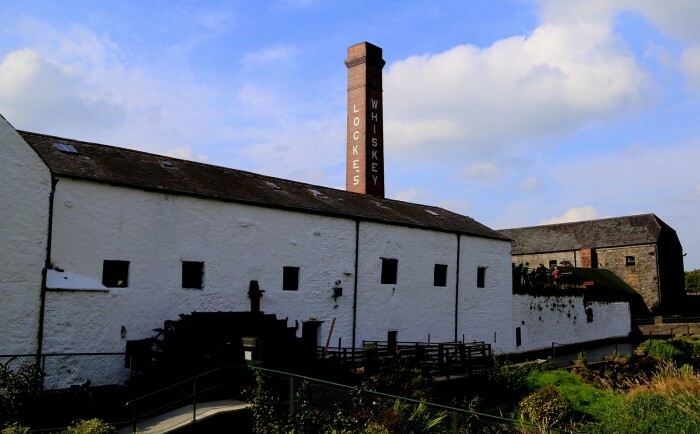 and/or take a $15-$25 taxi ride to the historic Kilbeggan distillery. The Tullamore Court Hotel, close to the station, offers large, modern rooms at modest prices. 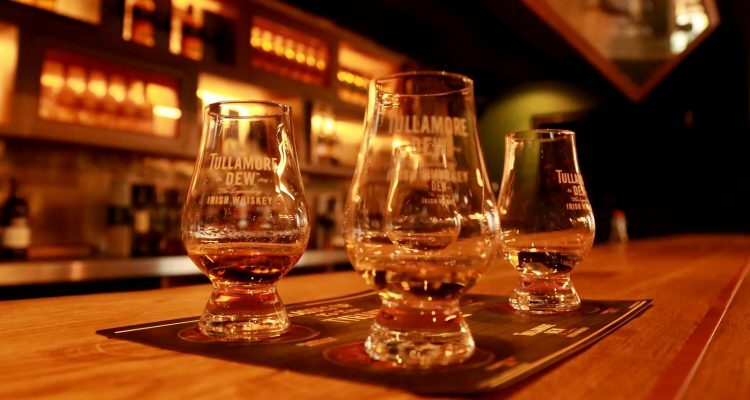 Tullamore D.E.W., owned by William Grant and Sons since 2010, recently opened a large, new distillery which is not open to the public. The old distillery is now a charming visitor center where you will get a comprehensive guided tour followed by an informative tasting session; admissions begins at about $10. 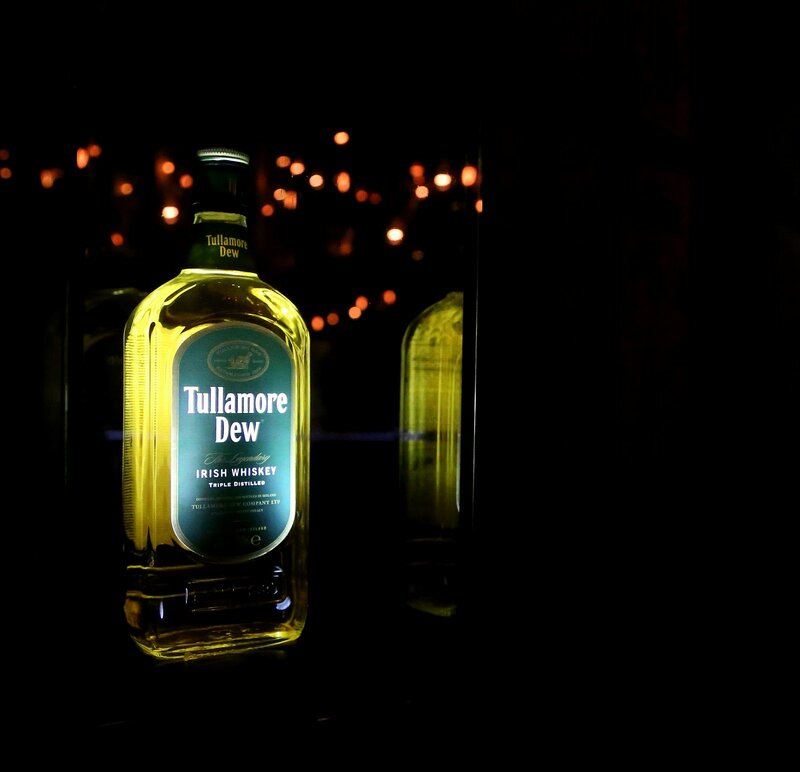 Tullamore D.E.W. Original (the letters stand for founder Daniel E. Williams) is a classic for a reason, smooth and mellow. A new product to try is Tullamore D.E.W. Phoenix Limited Edition, a blend of grain, malt and pot still whiskey finished in sherry casks and sold at 110 proof –creamy and spicy with a touch of sherry. My last stop was Kilbeggan, home to Ireland’s oldest working pot still. The facility is now part of Beam Suntory and most of the company’s whiskies are made at the Cooley facility. But there’s a small amount of spirit being distilled here, old-school style. The distillery used to belong to the Locke family – no relation as far as I know – and locals still refer to it as Locke’s Distillery. Tours range from about $9 for self-guided to around $80 for the top-scale experience including lunch and bottling your own 200 ml bottle of cask-strength spirit. I tried the Kilbeggan 8-year-old single grain (white corn) which was delicate and smooth with the sweetness of candied orange peel and I tried Connemara, a rarity in that it’s peated. And, finally, I tried the Locke’s 8-year-old (not available in the United States) which was fruity with sweet vanilla and malt – and the perfect tipple for toasting my Celtic wanderings. Ending a tour of the Irish whiskey trail with a bottle with my name on it? Definitely a pleasure.